Home Our Dogs Congratulations Mason! We have wonderful news to share tonight… Mason found his furever home!!! We had originally been contacted about Mason when he was just a little pup of 4 months. The shelter he was residing at didn’t feel he was ready for adoption and felt rescue was his best option. Young Mason needed to learn his manners and understand his boundaries. His foster family worked with Mason and soon he was ready to begin his furever home search. 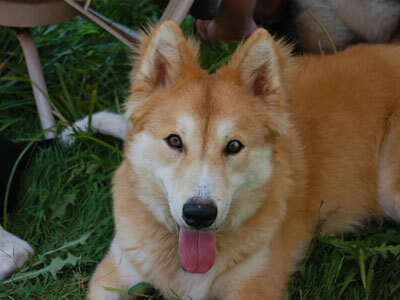 Mason was adopted to a home with another Sibe boy. Sadly, his family’s lifestyle changed and they felt it would be best for Mason to come back to MaPaw. His foster family welcomed him back and again, Mason began his search for his furever home. When we were contacted by a family that had adopted from MaPaw before, we couldn’t wait for Mason to meet them. And just as we thought ~ it was love at first sight for everyone! Yesterday, Mason officially joined his new family. His foster family was very sad to see him go, but they know that he will be one spoiled pup as he deserves.